We train in peace to implement in field. 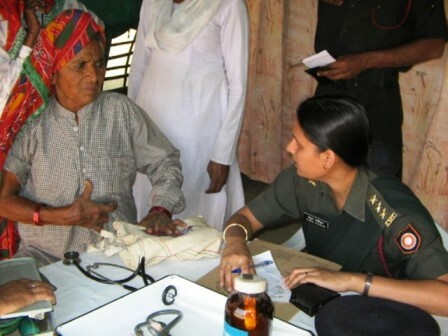 Besides training, the Army is well known for its noble contribution to the society. South Western Command is thoroughly aware of its responsibilities towards contributing to the society and takes up many endeavors from time to time. Organizing medical camps, lectures to the youth, plantation drives are just a few endeavors of our team to ensure that our contribution and our effort in nation building is always at its peak. Medical Camp. 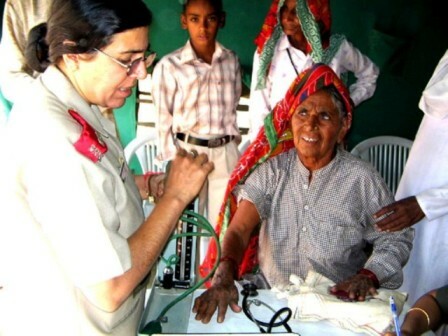 A medical camp was organised in the rural areas of Kota station for ex-servicemen and their dependents. Medical Aid. 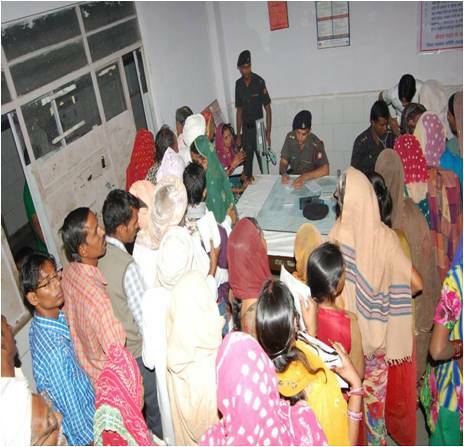 Army assistance in combating Dengue menace in Sriganganagar (Rajasthan). Dental Camp. 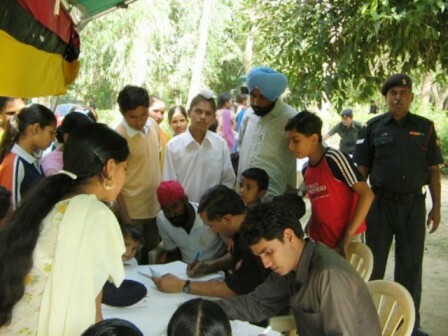 A Dental Camp was organised by South Western Command near Sanganer to educate people on dental care. Gujjar Agitation. 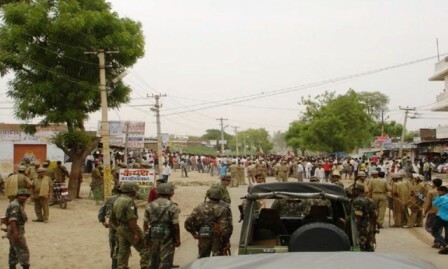 Providing security for the public during Gujjar agitation. Personal Hygiene. 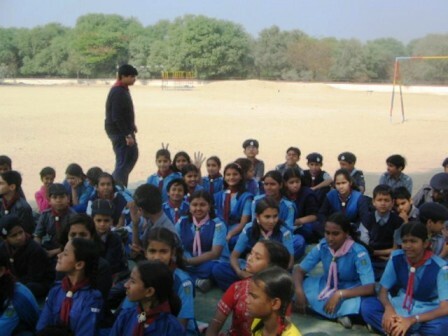 A lecture was organised near Jaipur for the school children. Rescue Operation. 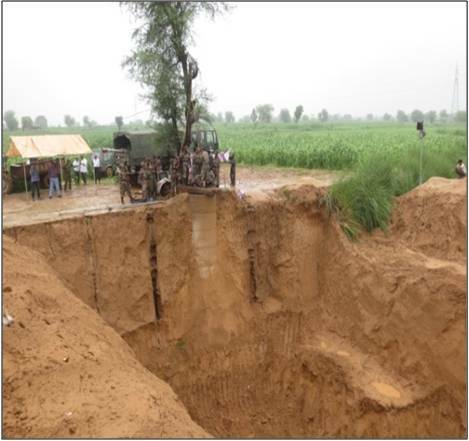 Rescue of a child who had fallen in a Borewell in village-Kyarda Khurd, Dist-Karauli (Rajasthan). 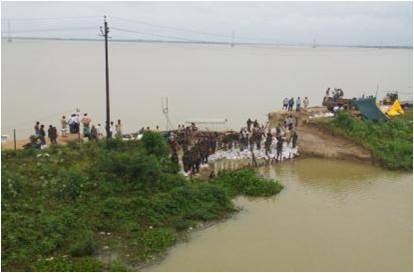 Flood Relief Operation. 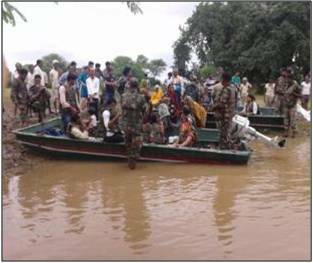 Rescue of marooned persons by South Western Command Sappers in Hoshangabad (MP). Flood Relief Operation. 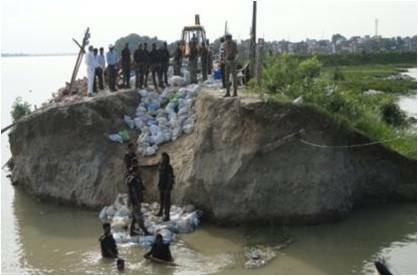 Plugging of breach in Bakshi Bund of Ganga River at Allahabad (UP).